Welcome, readers! It is truly an honor for me to serve as your Commissioner of Education. Much of my adult life has focused on education. Whether serving as a teacher, guidance counselor, principal, deputy superintendent, or Chancellor of Public Schools, I believe that every student has the right to a quality education. During my 32 year career in Florida’s public school system, my driving force has been student success. Education is a fundamental component of our economy and we need to adapt constantly to meet the demands of our society. It is important that we continue to keep students motivated, ahead of the curve, and better prepared for college, career, and life. As we transition to the Common Core State Standards, I am confident that Florida will continue to serve as a national leader in education reform. Our students, parents, educators, communities, and education stakeholders are essential to Florida’s success during this time. 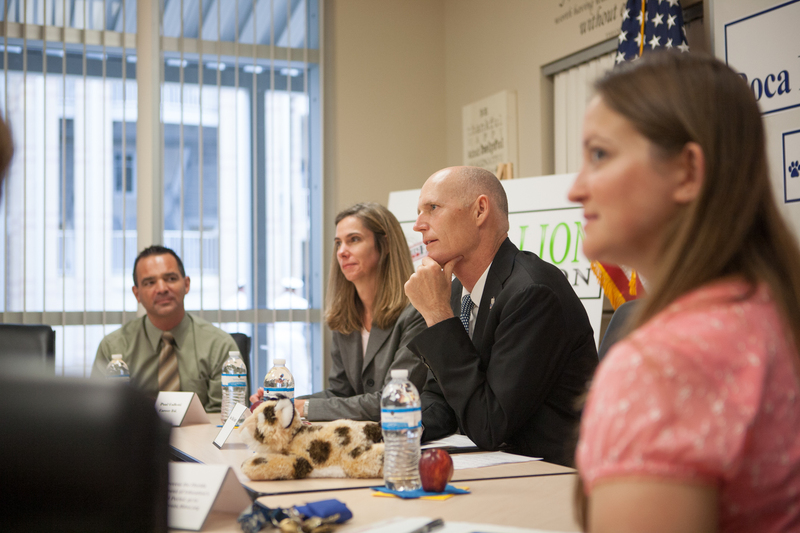 I am committed to communicating openly with educators and the public about education and accountability. There are several ways that you can stay up-to-date about important educational issues. If you are a parent, please visit the Just for Parents Online Community to find information and sign up to receive our monthly newsletter. If you are a teacher, please visit our Just for Teachers website to read about the latest resources for your classroom and to communicate with teachers across the state. And, if you are interested in a broad range of educational news, you can sign up for Education Works, a bi-weekly education update. Great things are on the horizon! Best wishes for a safe and productive school year. Video of Commissioner Robinson’s back-to-school message, including information about the new motto. Preparing high school graduates for the rigor of a quality postsecondary education. Equipping young people and adults with employable skills in high-wage earning careers. Creating public-private partnerships to encourage economic development and strengthen local and statewide commerce. Thinking creatively about how best to deliver and manage our seamless system of education. In closing, I am honored to be part of the Florida Department of Education. These are exciting times for our state, and I want you to know that your Department of Education is Supporting Colleges, Careers, Commerce & Creativity. Last week, the Data Quality Campaign (DQC) released Data for Action 2010, an annual nationwide analysis of states’ ability to collect and use data to improve student achievement. For the 5th year in a row, Florida achieved a perfect score for having the right data policies in place around student and teacher-related data collection and management. The report also noted that we improved our score in how we use the data to increase student achievement, making us one of only six states to be ranked this high. At this point you are probably asking yourself why I happen to be so excited about something like this. For me, the reason is quite simple. By using data, we can better formulate education policies, assist struggling schools, and most importantly, provide educators and administrators with information that can be used to help their students succeed. We’ve spent a long time as a state building up our data systems and working to get as much information as we can out to the public, and I think the impacts of those efforts have really begun to shine lately. In fact, I often hear complaints that maybe we have TOO much data out on the web, inundating people with more than they can handle. But for me, you can never have too much data as long as you manage and deliver it in streamlined, user-friendly ways. 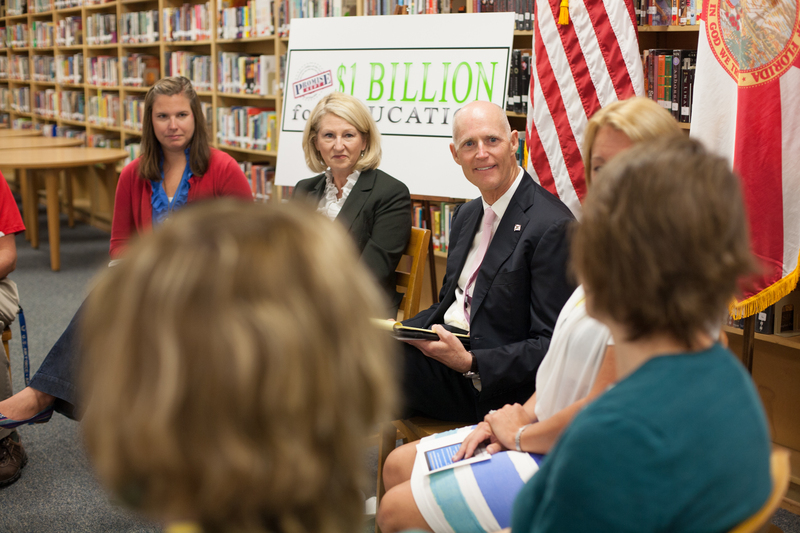 And that’s a big part of what we are going to be doing through Florida’s federal Race to the Top grant and Data Systems grants – taking everything we do now and making it so user-focused and public-friendly that folks will be able to delve right in and become informed about their schools like never before. From this effort I envision a new crop of education advocates, armed with reams of data, all working collectively to make our education system one of the best in the nation and the world.